The other day on a walk with my girls I saw a neighbor picking fruit from a tree in her yard. I asked her what kind of tree it was…and she offered to send us home with a bag of the fruit! It was a plum tree and this is about half of what she gave us. We don’t even know the woman. 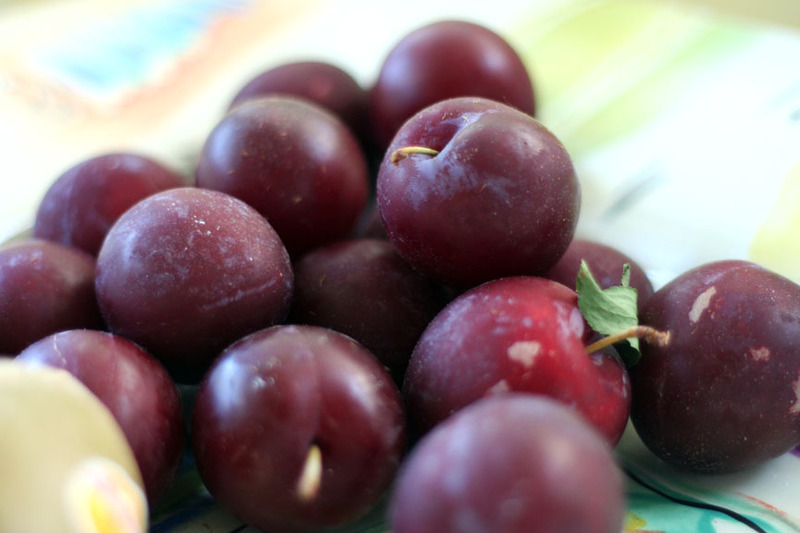 I love friendly neighbors with an overabundance of plums! I must confess, I did a terrible job sticking to our menu last week…I was SO busy, I never even made it to the grocery store! Which reminds me, I’ve kept track for several weeks and I’ll do a post soon comparing my menu plans with what we really ate…stay tuned for the scoop! – 4th of July! I think I’ll plan a cookout! Please share your menu for the week – last week or upcoming! And have a happy holiday weekend! Today it’s all about kiwifruit. I had the opportunity to attend a really fantastic lunch this week…more on that another day. One of the companies at the lunch was Zespri. Zespri represents all of the kiwifruit growers in New Zealand. They had samples of kiwifruit on hand and every course of our lunch had kiwifruit incorporated…and it was delicious! Kiwifruit is SUPER healthy. Tons of potassium, vitamin C and fiber. There are two varieties, green and gold. I’ve had green many times, but I’d never even heard of gold. I LOVED the gold variety. It’s sweeter than green and is harvested ripe, so it’s always ready to eat. Sadly, gold kiwis are harder to find in stores. Asian food markets are more likely to carry gold kiwis, but you could also put a request in at your supermarket if they don’t carry it. 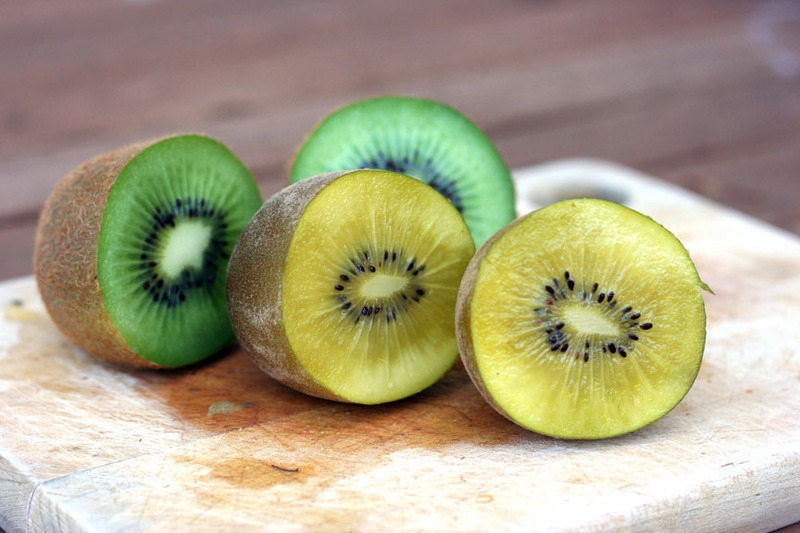 Green kiwis contain an enzyme that tenderizes meat (and curdles dairy, if you ever need to do that!). If you leave a couple of slices of green kiwi on your meat for about 30 minutes before cooking, it will tenderize the meat! The moral of the story? Go track down some gold kiwis. You’ll thank me. Zespri’s website is a great resource, with lots of recipes. Summer is upon us…which means the farmers’ markets are in full swing all across the country! Living in California means there is an abundance of farmers’ markets, many of which run throughout the year. Sadly, I rarely take advantage of these fun, tasty, and oftentimes economical local treasures. Here in lovely Menlo Park we have a year-round farmers’ market that Nate says is great (I trust him!). 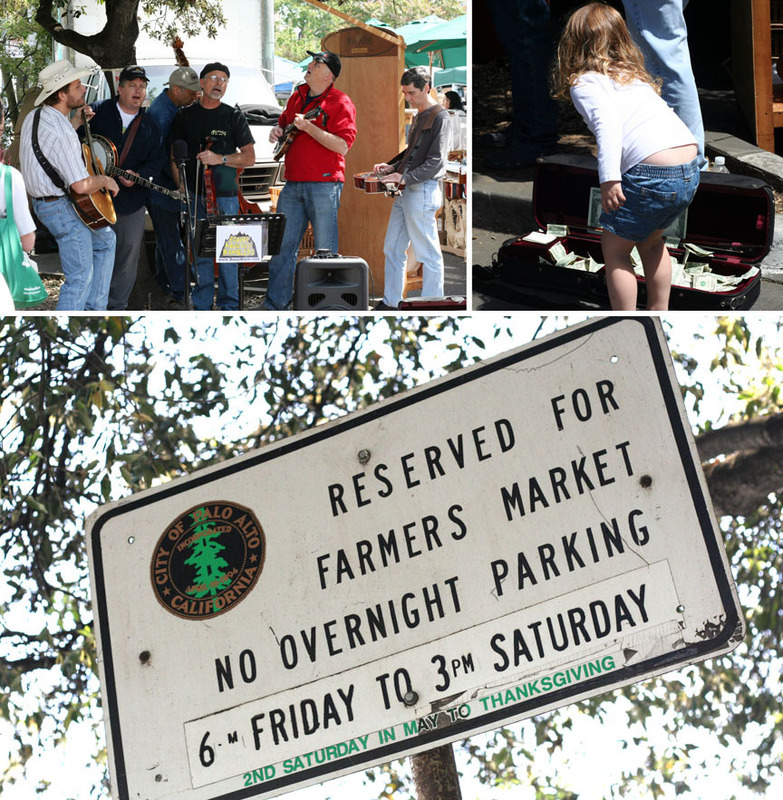 We’ve also been to the Palo Alto Farmers’ Market (seasonal), which is also great fun and has live music. Cate could not tear herself away from the blue grass band playing when we went. It was adorable. She showed her appreciation afterwards with a toss into the violin case. I love getting fresh flowers at farmers’ markets, but there is so much more to be found. 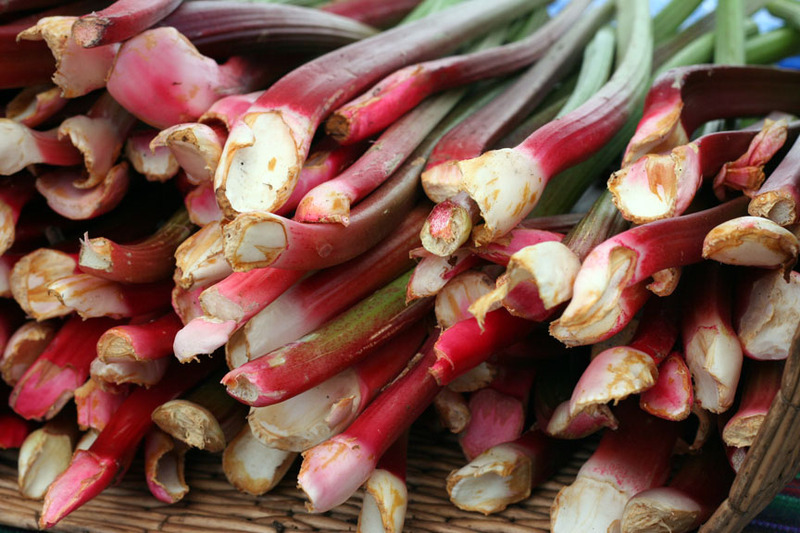 What are your favorite farmers’ market finds? Feel free to share your favorite farmers’ markets, as well! Please list your city and state so it’s easy for people to figure out which markets are close to home, wherever home may be! Week 126 Menu…Happy Father’s Day! 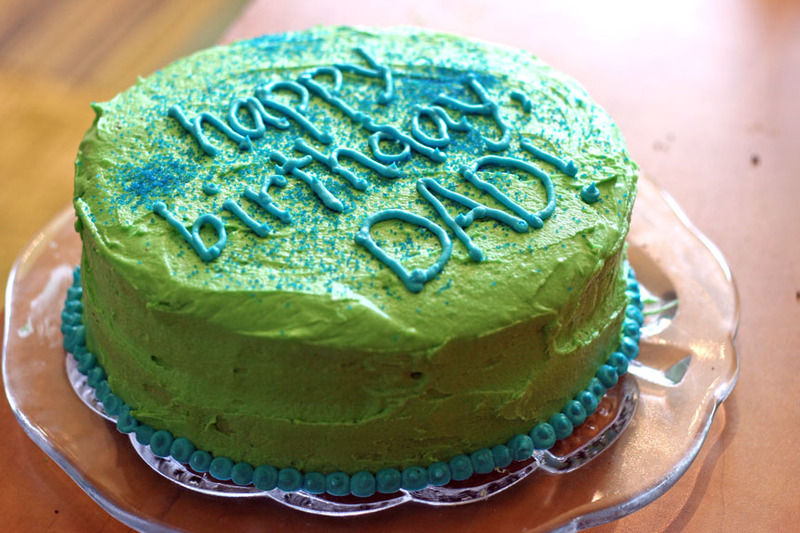 Happy Father’s Day to all the dads out there! Hope it’s been a great day! Cate and I got up early this morning and made Nate’s grandmother’s blueberry muffins for him. The muffins were divine, as always…and the batter was pretty darn good too. 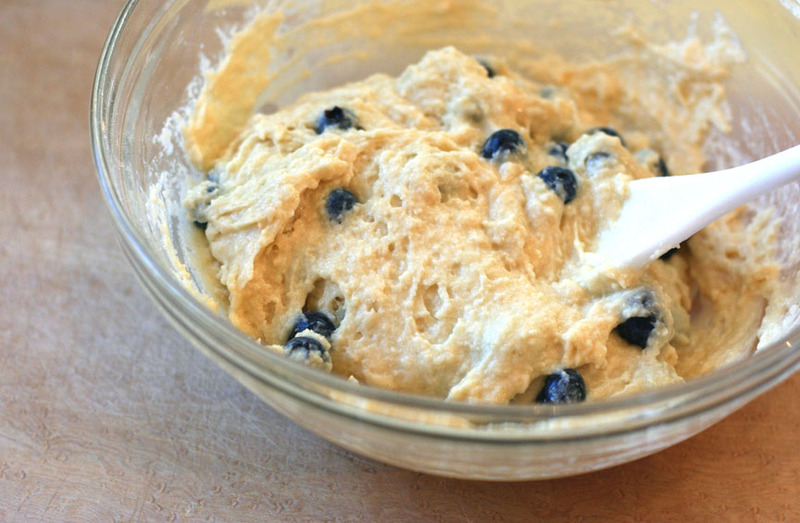 This is honestly my favorite batter (yes, I’m a dough and batter eater), even more than chocolate cake mix. And that’s saying something. – Nate’s Birthday…celebration meal TBD! This isn’t the fanciest menu, but keeping it real for a busy week. PLEASE SHARE YOUR MENUS! And don’t worry if your menu gets posted later in the week. I peruse them the following Sunday, so keep ’em coming all week! Okay, a non-foodie post, but I think Mozy is a great idea…so, here we go! My computer is an important part of my life, both personally and professionally. I back up my files on an external hard drive, which sits right next to my computer. While I have the files backed up, I must admit I’ve always had a nagging feeling in the back of my mind…what if something happened to our home, I’d lose all of our pictures, music, work files…SCARY. When Today’s Mama approached me to do a review of Mozy, a secure online backup service, I jumped at the chance. For one year I get to use Mozy Unlimited for free, which I’m very excited about. My computer is backing up files to Mozy as I type…and I finally have some peace of mind. I’m excited to see how the service works over the next year, and I’m so glad to have my files backed up off-site! Interested in Mozy? You can sign up for a FREE Mozy account and back-up 2 GB of data. Mozy Unlimited is only $4.95/month! And you can get a free t-shirt by clicking here to sign up! Today’s Mama is also giving away five 1-year Unlimited accounts. Click here to enter! My mom always made homemade jam growing up. I probably didn’t even taste store-bought jam until I was a teenager – we were spoiled! 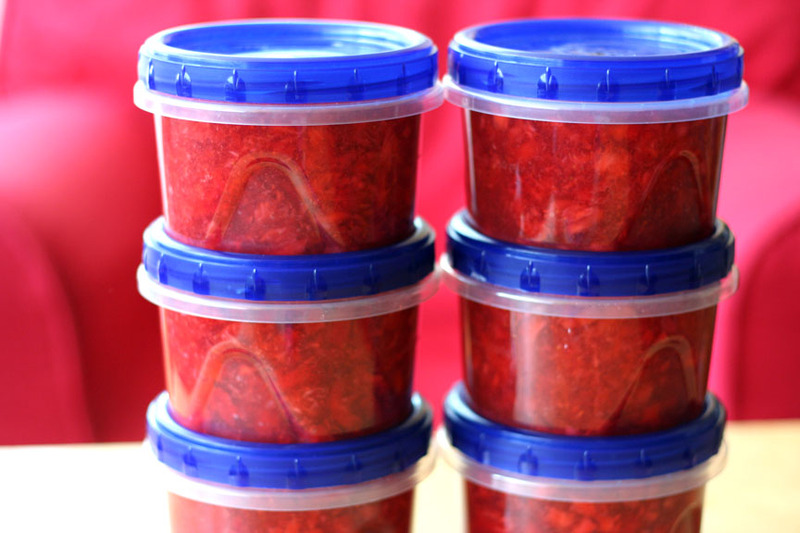 She most commonly made strawberry and raspberry freezer jam. Raspberry freezer jam still makes me weak in the knees! 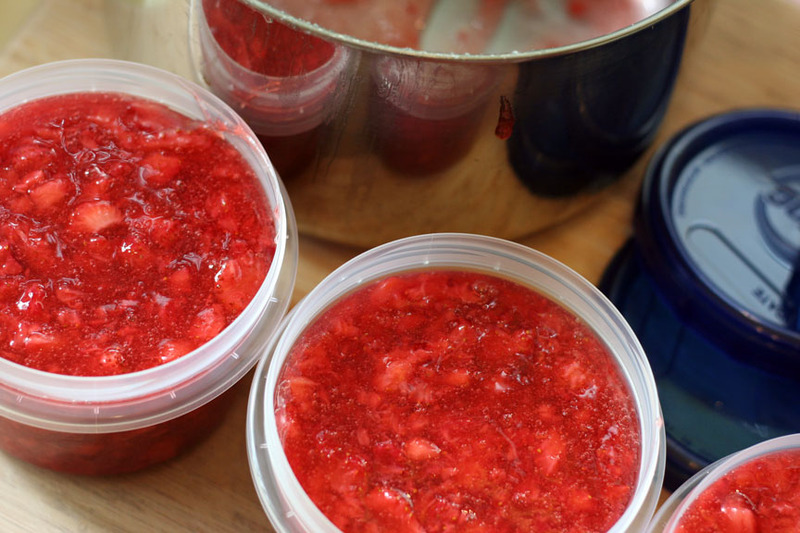 For those of you who have not ventured into the world of jam making…there are two kinds. Cooked and freezer. Cooked jam involves, well, cooking…it also involves canning as the method of storage, which isn’t hard, I’ve been told. But come on, if there’s an easier way to do it, I’m there. Enter freezer jam. Less cooking involved and you can store the jam in whatever clean containers you have on hand – no sterilizing necessary. I also like the fresher taste of freezer jam better than cooked. Making freezer jam is simple. Buy your fruit of choice, a box of pectin (powdered seems to work better than the gel verion), lots of sugar and you’re ready to go! When you mash your berries, do it by hand. I use my handy-dandy pastry blender and it does an excellent job (better than my potato masher). 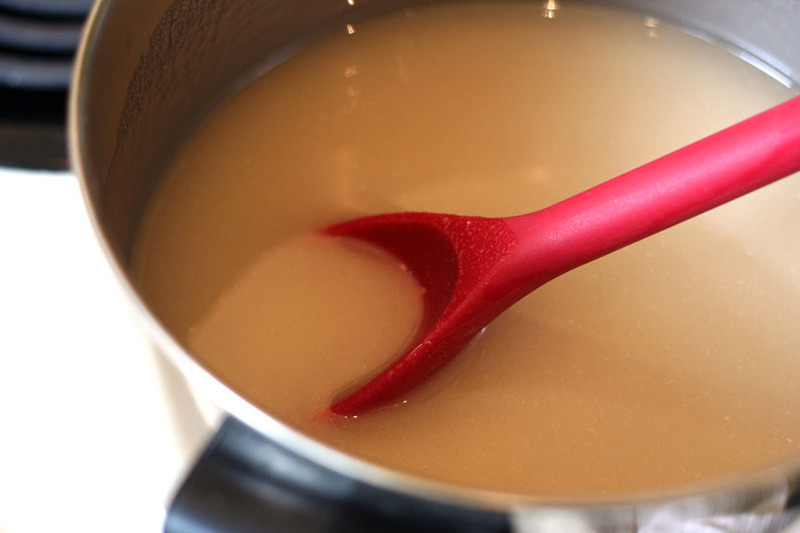 You can use a food processor, but you have to be careful not to blend too much or your jam might not gel. That said, I once unwittingly pulverized the berries and my jam still gelled…but I think I was just lucky, so don’t risk it! 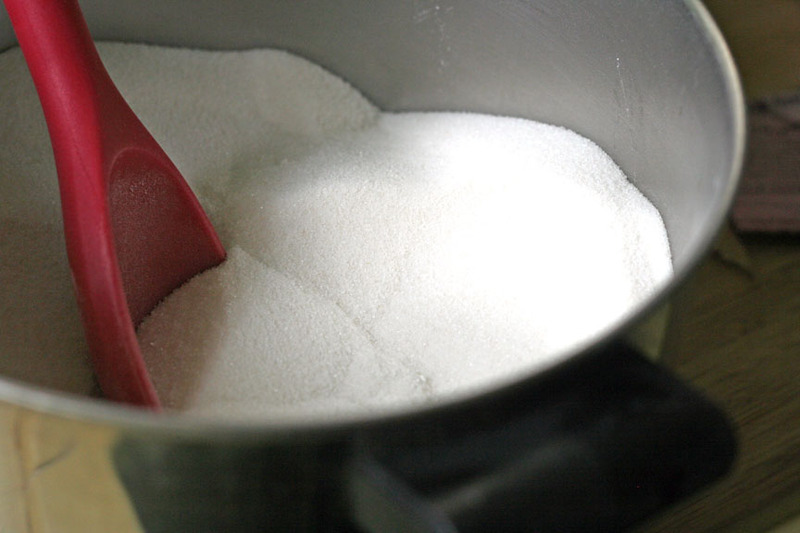 There is a no-sugar recipe, but as I you can see I didn’t use that one. Bring on the sugar! I always just follow the instructions inside the pectin box – no secret family recipes. And the jam comes out great. Although, make sure you actually READ the instructions. Remember the strawberry emergency I referenced in this week’s menu post? Yeah, I didn’t realize until my pectin was cooking on the stove that I did not have enough fruit, a result of mis-reading the instructions. DUH. I pulled the pectin off of the burner, divided it in half, made the first half of the jam while Nate ran to the store to get more berries. My pectin waiting in the wings started to gel – aaaahhhh!!!! I furiously chopped and mashed berries, got the pectin back on the heat and despite a somewhat strange texture, my jam still gelled – woo-hoo! See, I’ve made some serious blunders in my jam-making days, but it always comes out. If I can do it, you can too! Once you’ve followed the instructions and your jam is ready, you simply put it into clean containers – you can use jars, plastic, whatever. Let jam sit on the counter for 24 hours, then pop in the freezer! 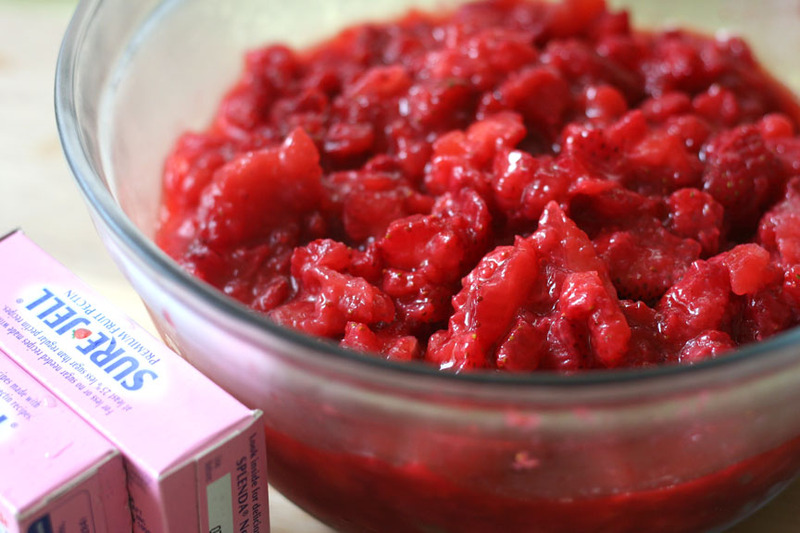 If you are looking to impress people, whip up some freezer jam. It’s really easy, and everyone will think you’re amazing for making your own jam. Plus, you’ll have the most delicious jam on the planet sitting in your freezer. Enjoy! 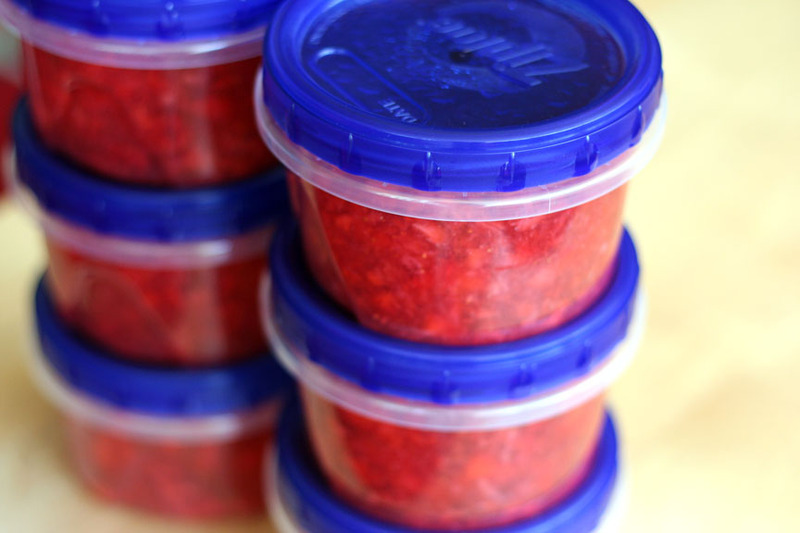 Click here for a follow-up post on how many strawberries and raspberries to buy to make jam. 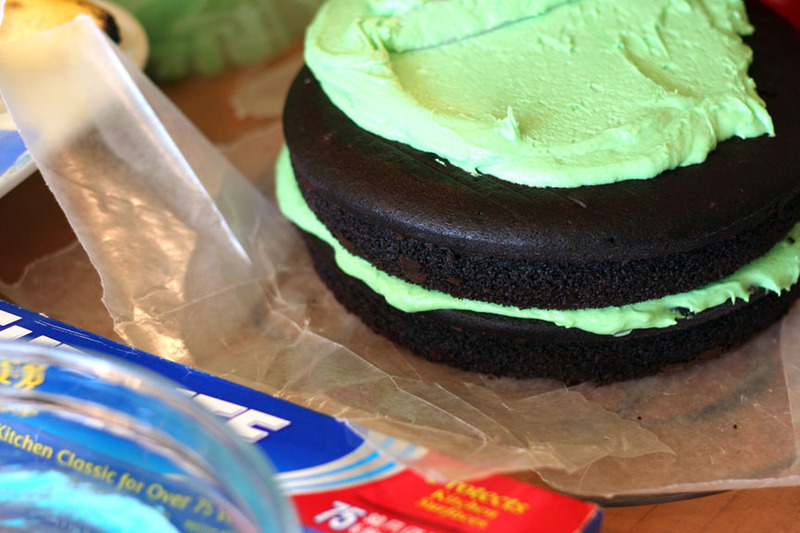 Tray Freezing…at Make & Takes! Be sure to check out my first contributed article on Make and Takes, a very fabulous website that I’m excited to be a part of! 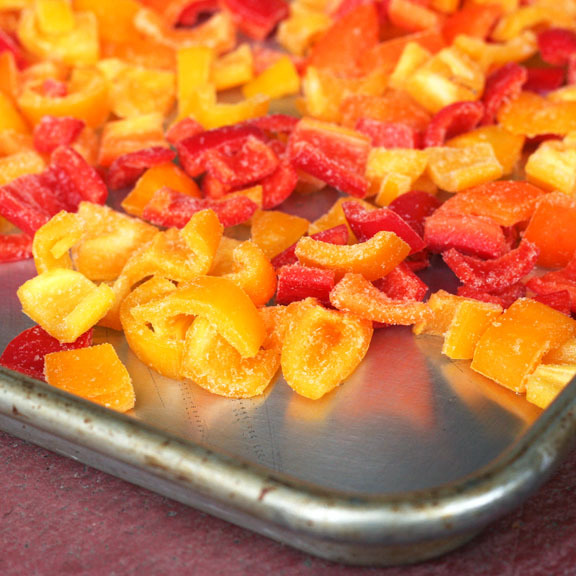 Today’s article is about tray freezing and I really don’t want you to miss it…click here! Win a Golden Ticket to BlogHer! Remember my wicked awesome party I’m co-hosting at the sold-out BlogHer conference? Do you want to go? To the party AND the conference? Now’s your chance! Be sure to check out the “Get me to BlogHer” contest sponsored by Whrrl…you could win a trip to BlogHer! I’m crossing my fingers that one of YOU wins. BIG THANKS TO WHRRL! Be sure to check them out! Click here to find out how to enter. Good luck!